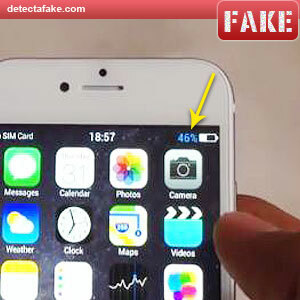 Yes, they make fake iPhones! They are all over the internet and of course, they are far inferior to the real ones. Make sure the one you are buying, or have already purchased, passes the checks below. 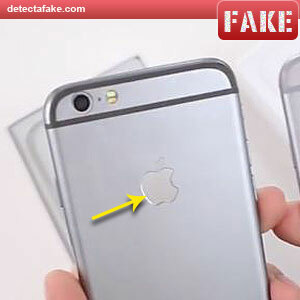 First of all, make sure it has the Apple logo on the back of the phone and the logo is nearly flush. 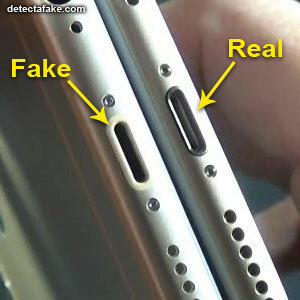 Many of the fake are clearly recessed as shown above. The logo should also be less reflective and a little darker than a mirror. 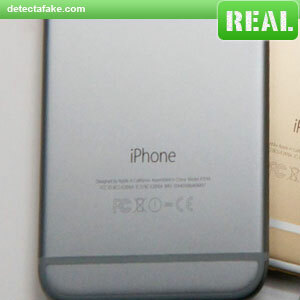 If it has a mirror finish, it's probably fake. Next, if you have a box with your phone, look at the top. 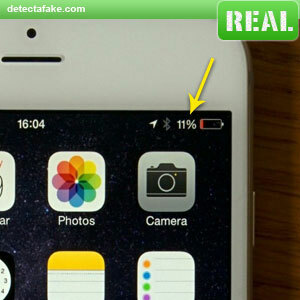 The authentic iPhones do not have a phone pic on top. 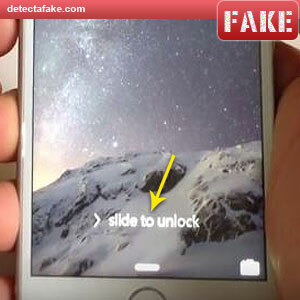 If it does, it's fake. 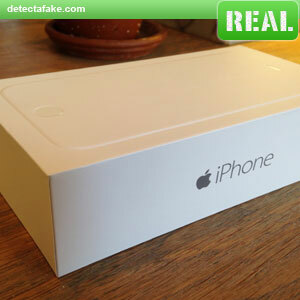 Also notice the raised, embossed phone outline on top of the real box. That line should be distinct and of good quality like the one above. Another thing to look for, if you have a box is the specs on the bottom of the box. The layout needs to be like the real one above. 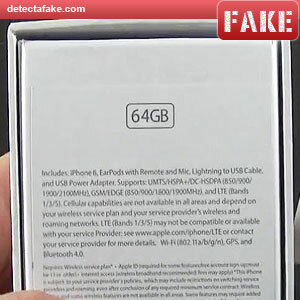 Notice the space between the top and the "64GB" on the fake one above. Next, look at the back of the phone. Many of the fakes display their lettering much higher than the authentics. 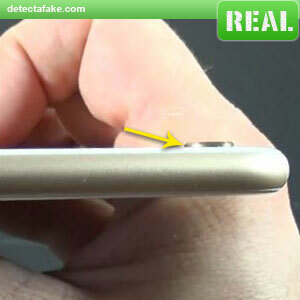 Next, look at the height of the camera on the back of the phone. 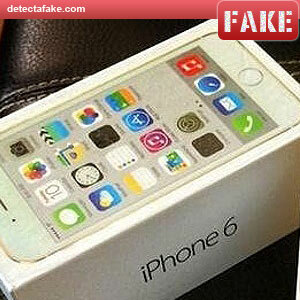 Most of the fakes have a much smaller profile than the authentic iPhones. Next, press on the the power button. You should hear and feel a distinct click. 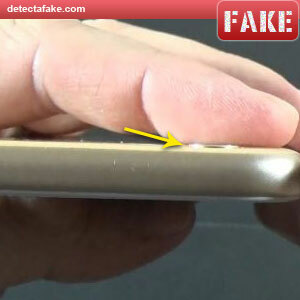 Most of the fakes do not click at all or have a faint click. Next, look at the lock screen. 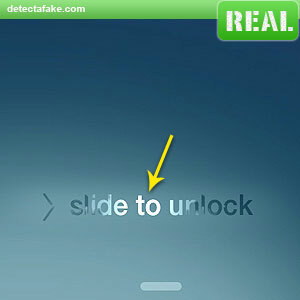 The authentic iPhones have an animated "slide to unlock" feature. It constantly highlights from left to right. 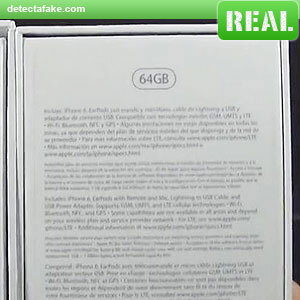 Many of the fakes are just solid white, like the one above. Next, look at the charge percentage display. It should be white as shown on the real one above. 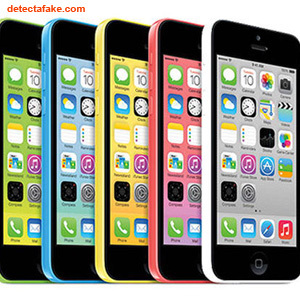 Many of the fakes use blue. If it is any other color than white, it's fake. 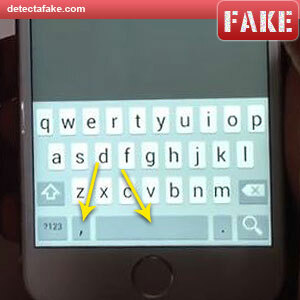 Next, look at the keyboard. 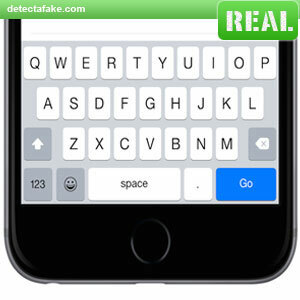 The space bar button should have "Space" written in it like the real one above. It also should not have a comma button like the fake above. 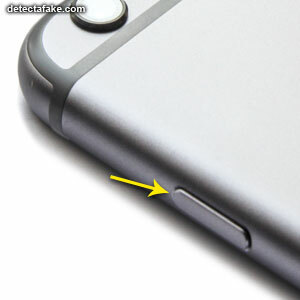 Next, look at the charge port. 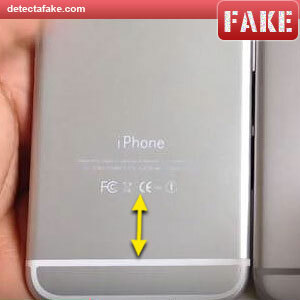 Many of the fakes have, what looks like, a plastic border around it. Make sure it looks like the real one above. Next, Connect to iTunes. If you connect it to iTunes and it doesn't show anything or you're receiving an error, it means iTunes does not recognize your phone. It's a fake. 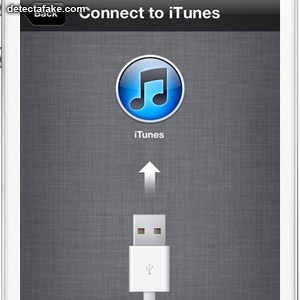 And last, check your serial number with Apple. On the phone, go to "Settings," then choose "General," and then click on "About." This will give you the serial number. You can then access the Apple website, where you can enter your iPhone serial number to see if it is a real iPhone.